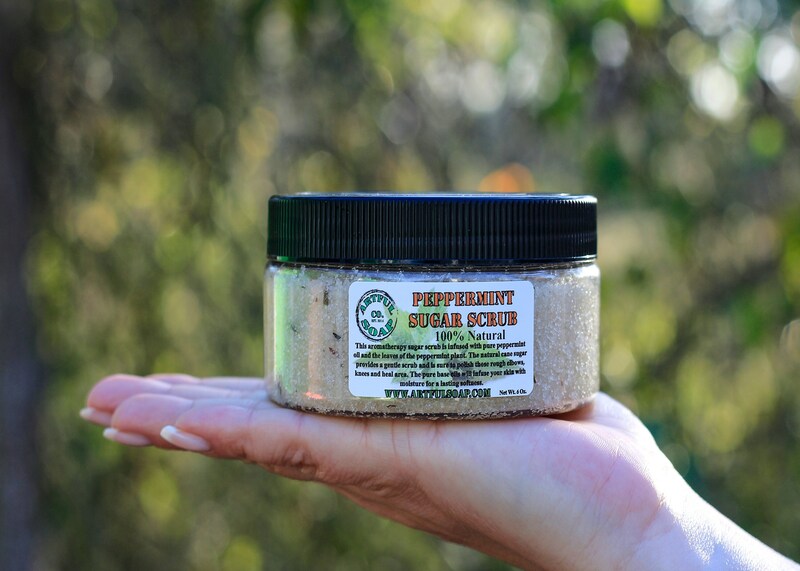 This aromatherapy sugar scrub is infused with pure peppermint oil and the leaves of the peppermint plant. 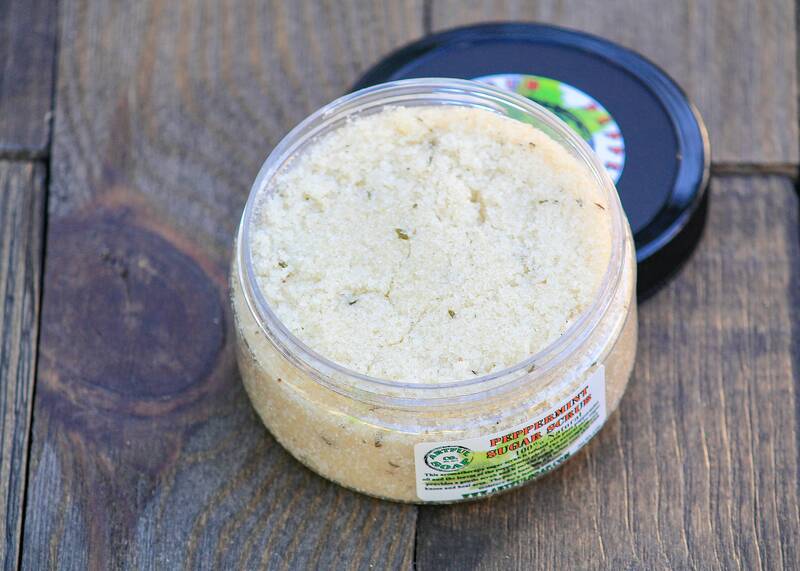 The fine ground sugar provides a medium abrasive scrub and is sure to polish those rough elbows, knees and heal area. The pure oils will infuse your skin with moisture for a lasting softness. 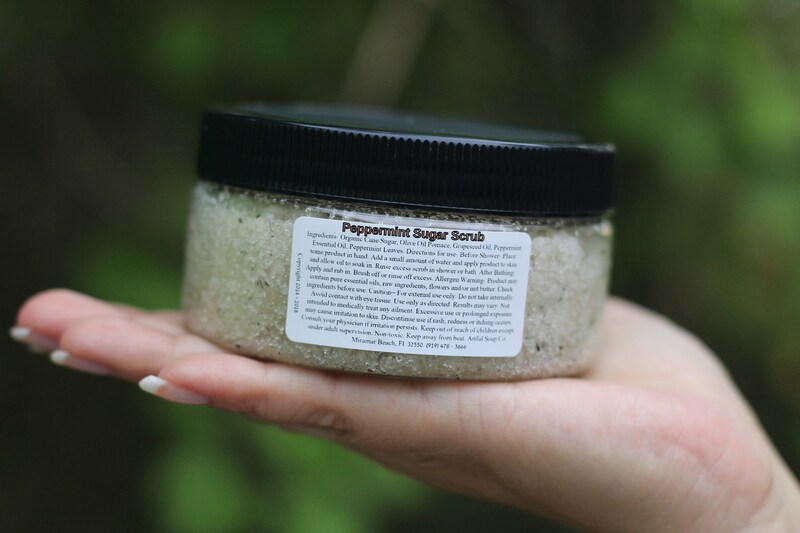 Ingredients: Cane Sugar, Peppermint Leaf, Olive Oil, Grapeseed Oil, Peppermint Essential Oil. Net weight 8 oz.